Cut the tofu cake into ten uniformly thick slices. Mix the molasses, Bell's seasoning, soy sauce, smoke flavoring and water in a shallow bowl. Coat both sides of each slice of tofu and place on a lightly oiled broiling pan. We prefer to cook the broiled tofu in our toaster oven with temperature set on broil, and also using three toast cycles. This cooks both sides at once. When the tofu has browned, remove from the broiler and serve. 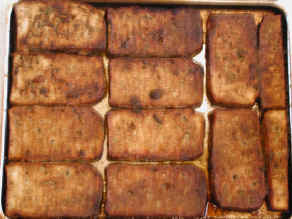 If the broiler does not have bottom heat, the tofu will have to be turned to brown on the bottom side. 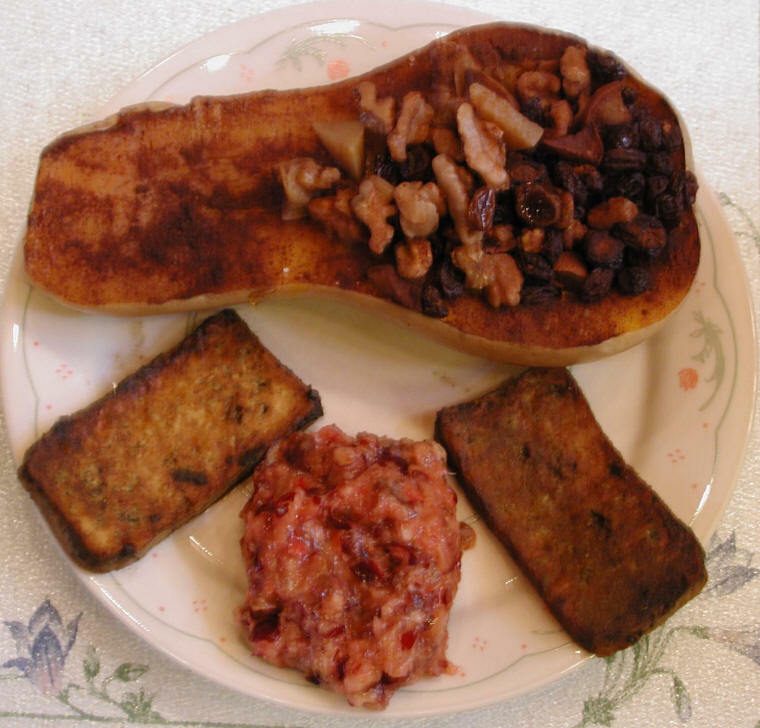 The photo to the right shows the broiled tofu being served with cranberry-orange-date relish and a baked half butternut squash that's stuffed with apples, raisins and walnuts.